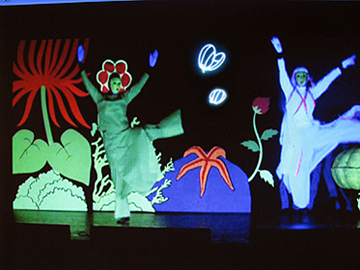 The hour-long stage extravaganza of live action mixed with laser animation enchanted the audience at a packed Duarte Arts Performing Center, Duarte - a suburb of Los Angeles, California. 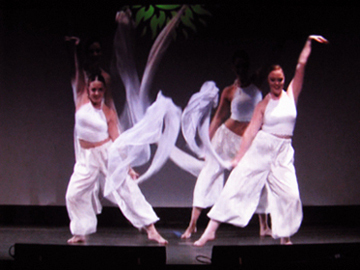 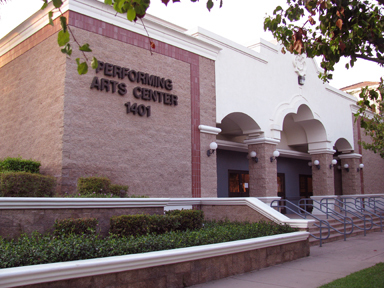 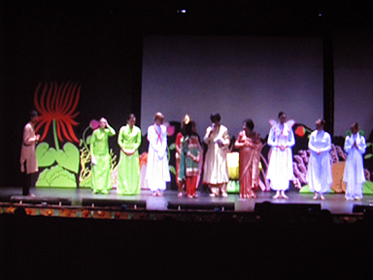 The show was a part of the celebration of Durga Puja of the BASC (Bengali Association of Southern California). 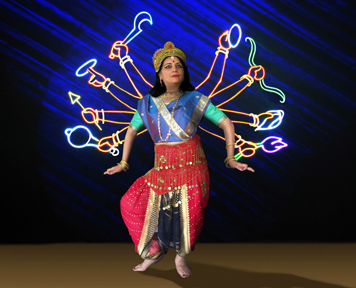 Designed for the entertainment of the entire family, the program had four items: Mahishasur Mardini, Sunrise, LaserToons and Imagination. 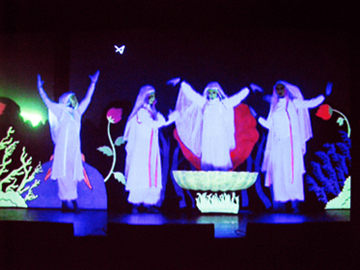 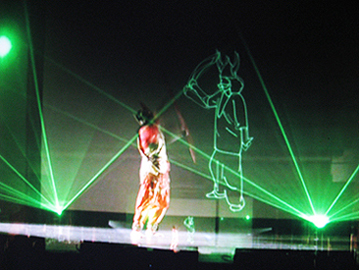 While Mahishasur Mardini was based on the mythology of Goddess Durga (live performer) destroying the Demon (laser animation) to save the universe, Sunrise offered peace and harmony through the unison of a Western dance to an Eastern melody, LaserToons was based on four children's songs in Indian language, Imagination lifted the audience from their seats to under the ocean following the dreams of a young girl who was to rescue trapped water fairies. 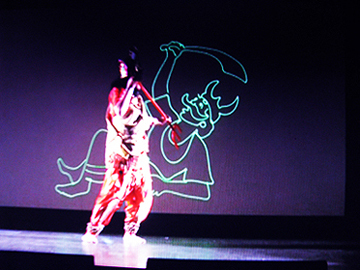 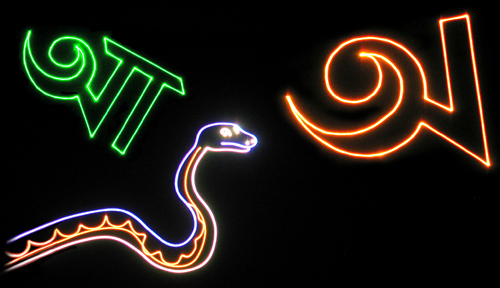 A scene from LaserToons....the first Laser show based on children' songs of India. 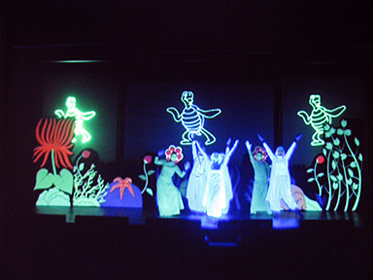 the water fairies trapped under the spell of an evil demon. 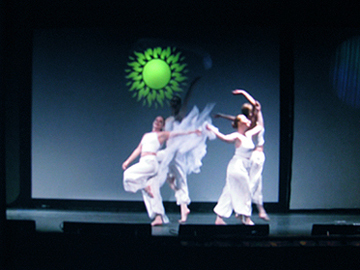 The freed fairies dance with joy to the delight of the young girl's dream-come-true.